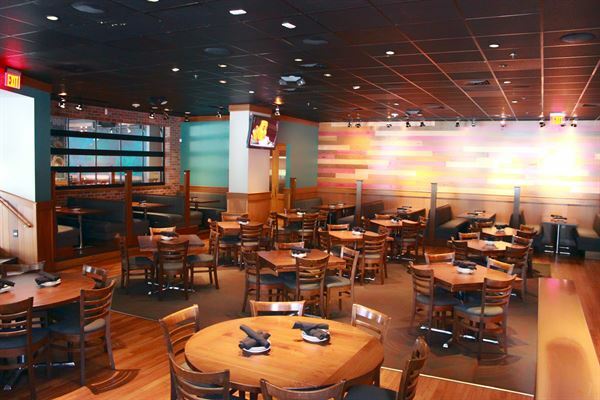 Blackfinn Ameripub is the perfect place for any special occasion. For groups up to 375 people, we have several spaces for small or large events - with no burdensome deposits or room rental fees! With our broad, customizable menus and our warm and friendly staff makes Blackfinn your choice for the perfect event space for any celebration! It is our goal to create the perfect event exactly how you want it. Don't see an item on our menu? Have dietary restrictions or special needs? At Blackfinn, our Chefs can provide a customization to meet your needs. We provide audio/visual including free Wi-Fi networks, projector screens, DJ services, and the ability to hook your laptop directly into our TVs for that presentation or trip down memory lane! We have over 50 beers, a progressive wine list, and endless list of cocktails including local favorites and craft beers! And if you can't make it in to Blackfinn, let us bring the FINN to you! We cater and deliver for groups of all sizes, from a small office lunch to a backyard barbecue! Accommodates up to 74 people.